I am a current undergraduate student, reading Mechanical Engineering. I am currently available to teach maths to A Level and Science to GCSE level. As a student myself, I achieved excellent GCSE and Alevel results(A*A*AA) in Maths& Science. I have worked as part time tutor at tutoring company (East Hounslow) and I am keen to develop as both a student and Tutor. I have taught at tutoring company (East Hounslow, London) as a Maths and Science Tutor. Since this was my first Tutoring post, I shadowed experienced Tutors and Teachers alike to gain the skills I am currently developing to be a great Tutor. Also I have helped a friend of mine to attain top A grades in GCSE maths as well as As level maths &further maths. Whilst relatively new to Tutoring, Kshitij is kind and motivated to help students reach their potential in mathematics. 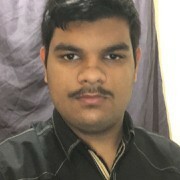 Kshitij currently holds an unconditional offer to study at Bristol and is an aspiring engineer, hoping to apply his mathematical knowledge to solve real-world problems.